Salzburg ( Français: Salzbourg, Spanish: Salzburgo, Deutsch: Salzburg, Русский: Зальцбург) - (The) city in Austria, situated in Salzburg region. According to the latest census, the city population is 150269. 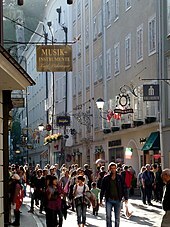 Geographical coordinates of Salzburg (WGS84): latitude: 47° 48' 2" N ( 47.8005 ), longitude: 13° 2' 40" E ( 13.0444 ). We recommend you to visit the following pages about travelling to Salzburg: Interactive map of Salzburg. The most popular sights and events are: Red Bull Arena, Mozarteum University of Salzburg, Salzburg Cathedral, Hohensalzburg Castle, Getreidegasse . 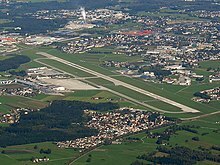 Wikipedia about Salzburg: Salzburg on our wiki pages. Around 15 BC the Roman Empire merged the settlements into one city. At this time, the city was called "Juvavum" and was awarded the status of a Roman municipium in 45 AD. Juvavum developed into an important town of the Roman province of Noricum. After the Norican frontiers collapse, Juvavum declined so sharply that by the late 7th century it nearly became a ruin. The Life of Saint Rupert credits the 8th-century saint with the city's rebirth. When Theodo of Bavaria asked Rupert to become bishop c. 700, Rupert reconnoitered the river for the site of his basilica. Rupert chose Juvavum, ordained priests, and annexed the manor Piding. Rupert named the city "Salzburg". He traveled to evangelise among pagans. Independence from Bavaria was secured in the late 14th century. Salzburg was the seat of the Archbishopric of Salzburg, a prince-bishopric of the Holy Roman Empire. As the reformation movement gained steam, riots broke out among peasants in the areas in and around Salzburg. The city was occupied during the German Peasants' War, and the archbishop had to flee to the safety of the fortress It was besieged for three months in 1525. Eventually, tensions were quelled, and the city's independence led to an increase in wealth and prosperity, culminating in the late 16th to 18th centuries under the Prince Archbishops Wolf Dietrich von Raitenau, Markus Sittikus, and Paris Lodron. It was in the 17th century that Italian architects (and Austrians who had studied the Baroque style) rebuilt the city center as it is today along with many palaces. On 31 October 1731, the 214th anniversary of the 95 Theses, Archbishop Count Leopold Anton von Firmian signed an Edict of Expulsion, the Emigrationspatent, directing all Protestant citizens to recant their non-Catholic beliefs. 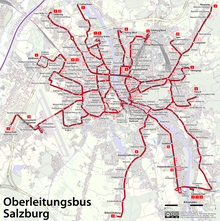 21,475 citizens refused to recant their beliefs and were expelled from Salzburg. Most of them accepted an offer by King Friedrich Wilhelm I of Prussia, traveling the length and breadth of Germany to their new homes in East Prussia. The rest settled in other Protestant states in Europe and the British colonies in America. After the Congress of Vienna with the Treaty of Munich (1816), Salzburg was definitively returned to Austria, but without Rupertigau and Berchtesgaden, which remained with Bavaria. 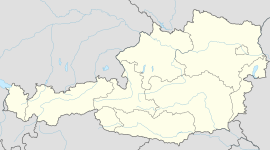 Salzburg was integrated into the Salzach province and Salzburgerland was ruled from Linz. Allied bombing destroyed 7,600 houses and killed 550 inhabitants. Fifteen strikes destroyed 46 percent of the city's buildings, especially those around Salzburg train station. Although the town's bridges and the dome of the cathedral were destroyed, much of its Baroque architecture remained intact. As a result, Salzburg is one of the few remaining examples of a town of its style. 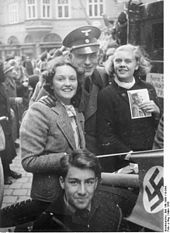 American troops entered the city on 5 May 1945 and it became the centre of the American-occupied area in Austria. Several displaced persons camps were established in Salzburg—among them Riedenburg, Camp Herzl (Franz-Josefs-Kaserne), Camp Mülln, Bet Bialik, Bet Trumpeldor, and New Palestine. After World War II, Salzburg became the capital city of the State of Salzburg (Land Salzburg). 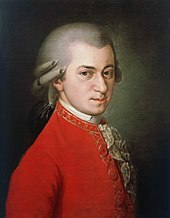 On 27 January 2006, the 250th anniversary of the birth of Wolfgang Amadeus Mozart, all 35 churches of Salzburg rang their bells after 8:00 p.m. (local time) to celebrate the occasion. Major celebrations took place throughout the year. Salzburg is on the banks of the river Salzach, at the northern boundary of the Alps. The mountains to Salzburg's south contrast with the rolling plains to the north. The closest alpine peak, the 1,972‑metre-high Untersberg, is less than 16 kilometres (10 miles) from the city centre. The Altstadt, or "old town", is dominated by its baroque towers and churches and the massive Hohensalzburg Fortress. This area is surrounded by two smaller mountains, the Mönchsberg and Kapuzinerberg, which offer green relief within the city. Salzburg is approximately 150 km (93 mi) east of Munich, 281 km (175 mi) northwest of Ljubljana, Slovenia, and 300 km (186 mi) west of Vienna. Salzburg is part of the temperate zone. The Köppen climate classification specifies the climate as a humid continental climate (Dfb), however, with the −3 °C (27 °F) isotherm for the coldest month, Salzburg can be classified as a four-season oceanic climate with significant temperature differences between seasons. Due to the location at the northern rim of the Alps, the amount of precipitation is comparatively high, mainly in the summer months. The specific drizzle is called Schnürlregen in the local dialect. In winter and spring, pronounced foehn winds regularly occur. The Romanesque and Gothic churches, the monasteries and the early carcass houses dominated the medieval city for a long time. 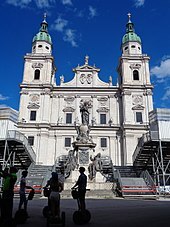 The Cathedral of Archbishop Conrad of Wittelsbach was the largest basilica north of the Alps. The choir of the Franciscan Church Hall, construction was begun by Hans von Burghausen and completed by Stephan Krumenauer, is one of the most prestigious religious gothic constructions of southern Germany. At the end of the Gothic era the Collegiate church "Nonnberg", Margaret Chapel in St. Peter's Cemetery, the St. George's Chapel and the stately halls of the "Hoher Stock" in Hohensalzburg Fortress were constructed. After the era of Ernst von Thun, the city's expansion came to a halt, which is the reason why there are no churches built in the rococo style. Sigismund von Schrattenbach continued with the construction of "Sigmundstor" and the statue of holy Maria on the cathedral square. 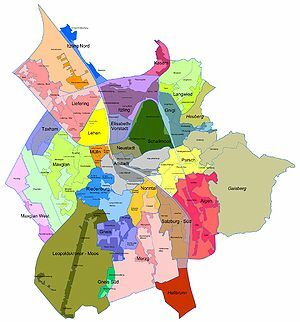 With the fall and division of the former "Fürsterzbistums Salzburg" (Archbishopric) to Upper Austria, Bavaria (Rupertigau) and Tyrol (Zillertal Matrei) began a long period of urban stagnancy. This era didn't end before the period of promoterism (Gründerzeit) brought new life into urban development. The builder dynasty Jakob Ceconi and Carl Freiherr von Schwarz filled major positions in shaping the city in this era. Red Bull also sponsors the local ice hockey team, the EC Salzburg Red Bulls. The team plays in the Erste Bank Eishockey Liga, an Austria-headquartered crossborder league featuring the best teams from Austria, Hungary, Slovenia and Italy, as well as one Czech team. ^ Statistik Austria - Bevölkerung zu Jahresbeginn 2002-2016 nach Gemeinden (Gebietsstand 1.1.2016) for Salzburg. ^ "Saltsburg" in the American Heritage Dictionary Archived September 27, 2014, at the Wayback Machine. ^ Frank L. Perry, Jr., Catholics Cleanse Salzburg of Protestants Archived 2016-03-04 at the Wayback Machine., The Georgia Salzburger Society. ^  Archived May 6, 2012, at the Wayback Machine. ^ Preisträger Salzburg Archived 2013-06-30 at the Wayback Machine.